PMS integration with hotel telephone system makes automatic guestroom phone related operations and effortless internal communications possible. 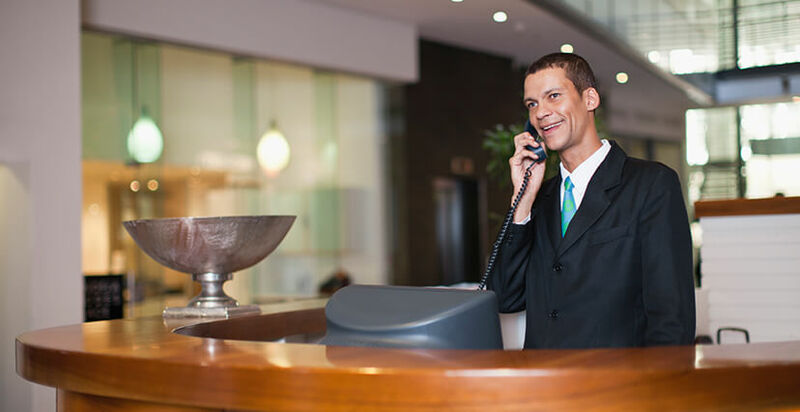 Integration of hotel telephone system and Hotel Management Software / Property Management System is frequently required by the hoteliers to streamline operations, unleash manpower, retain client data, and provide timely records. As a result, various operations can be performed by the reception staff directly within the PMS. For Yeastar S-Series VoIP PBX, PMS integration is even easier with “char utile h+ Integration App” and EasyLynq. With the App installed and activated on S-Series VoIP PBX, the PMS middleware “char utile h+” will connect the S-Series PBX and the client’s property management system (PMS) to realize the billing, wake-up call feature engaged with Hotel PMS. Integrated with EasyLynq, S-Series VoIP PBX will be able to fully integrate with popular PMS like MICROS-Fidelio to broaden its performance scope and deliver easy hospitality operations. Other PMS middleware and hotel PMS are available on request.